Since I have been really happy with the performance and mobility on the Toshiba Ultrabooks (see previous blog entries) I have now chosen to stay with a tried brand and uprgrade to the Z930 i7 model. Unfortunately this now comes with added hurdles by our good friends at Microsoft in the form of UEFI and the pre-installed disaster that is Windows 8. 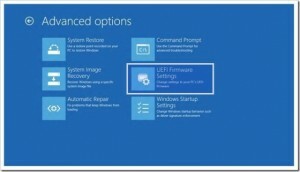 Instead of totally wiping the system as I did with the Z830 model I decided to install next to Windows 8 as lots of people have reported problems with the UEFI bootloader and the BIOS if you start messing with the pre-installed partitions (specially the EFI partition). EDIT (2013-06-10): It turns out that Ubuntu works just fine without the factory partitions (which I found out accidentally & not necessarily planned … see cautionary note at the end of this article). 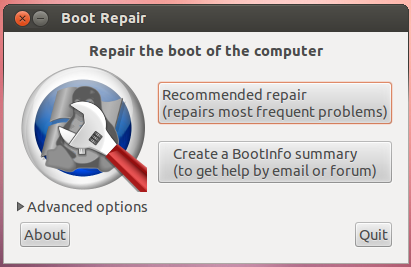 The important part is the “Fix GRUB bootloader” section below as the unit refuses to boot without that step. Hat tip and thank you to the boot-repair developers ! I resized the Windows partition in the Windows Control Panel (after I spent considerable time actually finding the damn thing in that crazy Metro UI) and removed all the Windows Crapware that comes pre-installed with this thing (such as Norton Security, Microsoft Office and other annoying ad-ware). I decieded to use 200GB for the Ubuntu system leaving roughly 40GB for Windows. Keep F12 key pressed on power up to get the choice boot from USB. Choose “Try Ubuntu” (this is a good idea to see if you have any issues with Ubuntu) and then start the install process from the desktop. I used 5GB of swap space (10GB of RAM) and the rest of the free disk space as root partition, but you can use any layout you like) and installed Ubuntu. 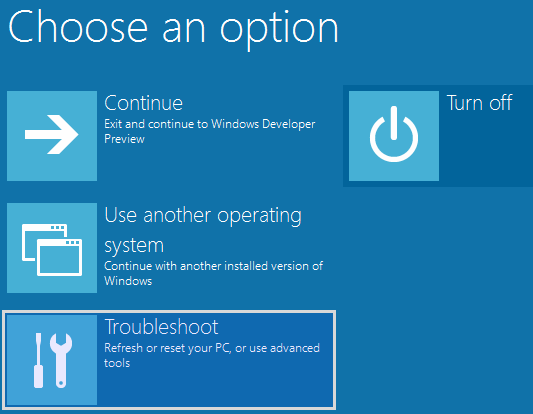 After first reboot I was sort of hoping to get a choice, but the thing booted straight back into Windows 8. Turns out you have to do some more work to get rid Windows 8. Go to the PowerOff options, and while holding the SHIFT key, click on Restart. 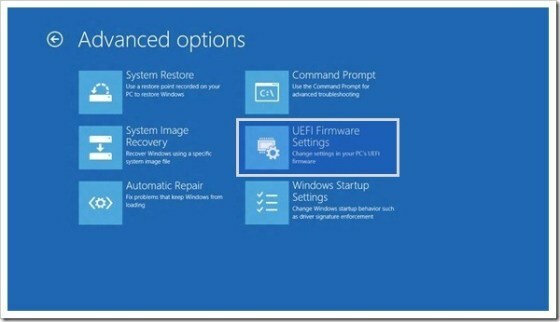 When the menu below appears, select Troubleshoot, then UEFI Firmware Settings. It will ask you to reboot to go to BIOS. Note: You need to click on “Change settings that are currently unavailable” and should see something like below. Check the options and follow the instructions given. Reboot and you should be presented with the GRUB Boot Menu (which should default to UBUNTU, but still allow you to boot into Windows 8 for those who have masochistic tendencies). CAUTION (2013-06-10): Be careful when re-installing Ubuntu in a dual-boot configuration. Do not choose the option “Remove existing Ubuntu partitions & re-install” – manually delete and re-create the partitions instead. I found out the hard way that this option will REMOVE ALL EXISTING PARTITIONS. In my case that does not matter as I wasn’t planning to use Windows 8 at all. I just left it there as some people reported trouble booting when the partitions were removed. It actually means I just have just recovered 40GB of wasted SSD space. But if you want to dual-boot be careful with that option. EDIT (2013-06-08): turns out there is a confirmed bug in the ACPI power management module on this unit. However thanks to Alexander Pevzner there is a temporary kernel module that fixes the issue. I’m just wondering if all the fn keys works fine. And what is the battery duration (i read that eco mode doesn’t work on linux). @Javier: Function keys seem to work. Battery life is acceptable – get a few hours of full on work (and sometimes even a charge of the mobile) or 2 full length movies on a long flight out of the batteries. Although my off-grid usage is rather sporadic on airports mainly.